Selection of population. ECRHS: European Community Respiratory Health Survey. 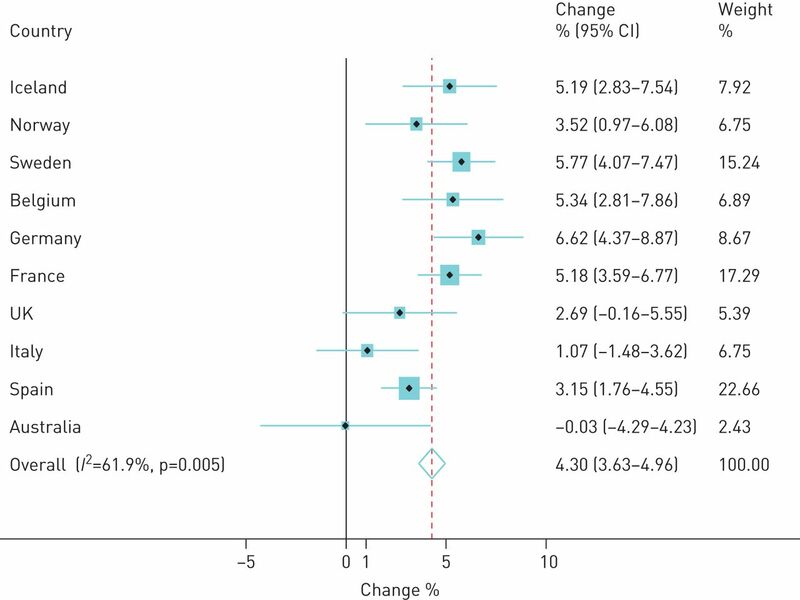 Change in the use of inhaled corticosteroids (as a single inhaler or in combination; any use in the last 12 months) in the random sample between European Community Respiratory Health Survey (ECRHS) I and III analysed by country and combined in a meta-analysis. Analysis was not possible for Estonia due to the limited number of participants. The area of each square is proportional to the reciprocal of the variance of the estimate for the country. The combined random effects estimate is shown by the dashed line; the width of the diamond is the 95% confidence interval. Ecological analysis of the association between prevalence of current asthma and the use of mediation for asthma in each country: a) any asthma medication and b) inhaled corticosteroids. 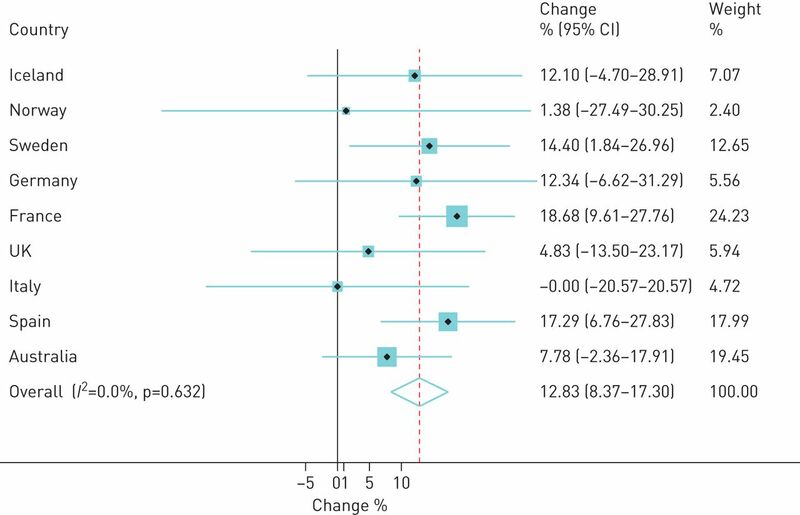 Change in the regular use of inhaled corticosteroids (as a single inhaler or in combination; any use in the last 12 months) in participants with persistent asthma analysed by country and combined in a meta-analysis. Analysis was not possible for Estonia due to the limited number of participants. The area of each square is proportional to the reciprocal of the variance of the estimate for the country. The combined random effects estimate is shown by the dashed line; the width of the diamond is the 95% confidence interval. 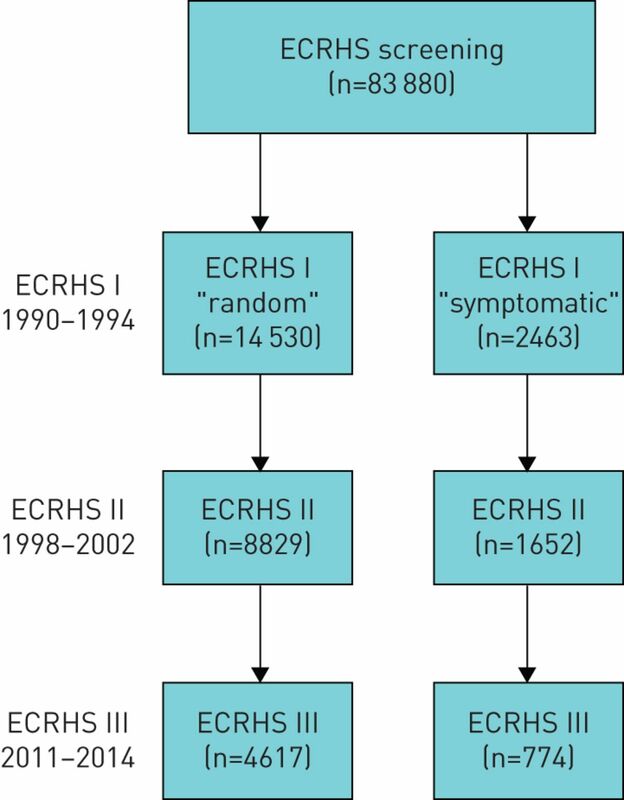 Data are presented as %, and change between European Community Respiratory Health Survey (ECRHS) I and III in % (95% CI), or in case of absence of information from ECRHS I, change between ECRHS II and ECRHS III in % (95% CI). SABA: short-acting β2-agonist; LABA: long-acting β2-agonist; ICS: inhaled corticosteroid; LTRA: leukotriene receptor antagonist; OCS: oral corticosteroid. #: n=4617; ¶: as a single inhaler or in combination; +: not possible to calculate 95% confidence interval. Data are presented as n, unless otherwise stated. SABA: short-acting β2-agonist; LABA: long-acting β2-agonist; ICS: inhaled corticosteroid. #: as single inhalers or in combination. BMI: body mass index. #: n=369; ¶: adjusted for the variables in the table, survey and country.